JCPS requires all student athletes participating in middle and high school events to have a completed and up-to-date sports physical. The Kentucky High School Athletic Association (KHSAA) includes both a middle school physical form (PPE on the link) and a high school physical form (GE04 on the link). Make sure you are using the right one. Parents also must complete the JCPS Parent Permission Form and the Parent Concussion Signature Sheet. All student athletes are required to purchase the student accident insurance, which is $20 per student per year. This is a secondary insurance policy that becomes primary if the student has additional insurance. Even if you already have health insurance coverage on your child, you still must purchase this secondary policy. Visit Student Accident Insurance Coverage for more information. Both the KHSAA and JCPS have policies regarding transferring high schools and participating in athletics. The KHSAA Transfer Policy explains what exceptions have to be met for a student to play once he or she changes schools. This policy applies only to students who have played in a varsity contest (even for just one play). JCPS has a stricter transfer policy that applies even if a student has never played a varsity event. It states that transferring students must be cleared through the JCPS Office of Activities and Athletics and KHSAA before participating in any activity. After enrolling in any Jefferson County public high school, any student who is granted a transfer will be ineligible for athletic participation, regardless of prior participation, for one calendar year from the date of transfer. This rule is in addition to and stricter than the KHSAA Transfer Rule. All JCPS-to-JCPS transfers must be sent to the JCPS director of Activities and Athletics for approval. All JCPS teams follow the same KHSAA heat play guidelines when it comes to playing or practicing in extreme heat and humidity. The KHSAA Heat Index Chart makes it easy for coaches to see what they can and cannot do in terms of heat play. Other related forms and each school's website can be found under the general Athletic Forms page. 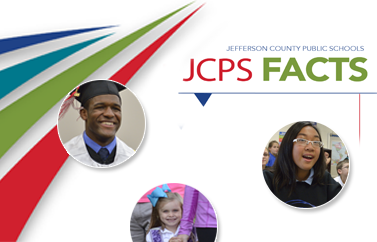 You can also find other JCPS Activities and Athletics Regulations here.